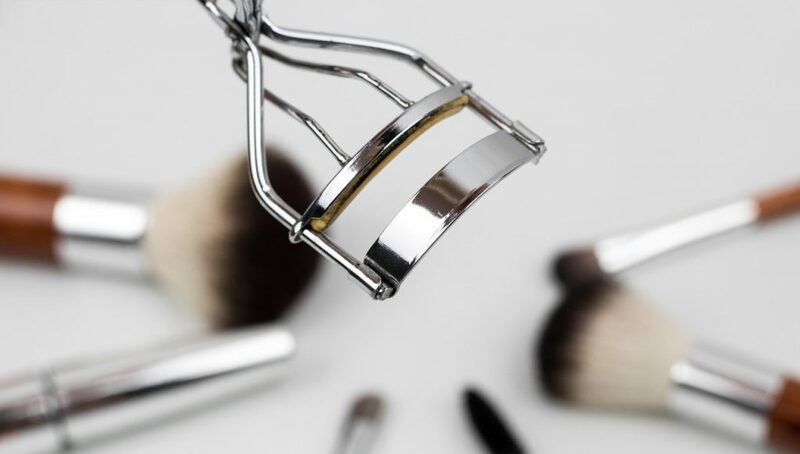 The eyelash curler is a device that many women use to curl and lift the upper lashes in order to get an eye-opening effect and the eyelashes to look longer and thicker. It comes with two pads and the eyelashes are pressed between them. This device was patented by William McDonell in 1931, who called it Kurlash. It actually had the same design as the one we use these days, however, we have now different types and brands that we can choose from. There are electric ones, plastic ones, and even heated ones. When choosing an eyelash there are some factors you should consider. There are also some other features to look for when selecting one. If you have short lashes, for best results, you will have to get close to the eyelid. 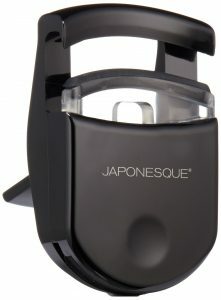 For that purpose, Shiseido was designed with a smaller clamp. The metal curlers are the basic ones, looking like a scissor. You might be allergic to metal, so in this case, plastic curlers are the best choice for you. They are cheaper than the metal curlers, however, they don’t last that long, so you might have to replace them more frequently. Some women find that the heated curlers are the best one because they curl your lashes easier, faster and better. They claim also that they stay with curled lashes during the whole day. Other ladies avoid those because they are bigger and difficult to use. Most of the heated eyelash curlers are just as the standard ones, with batteries to warm the pads. There are new inventions of heated curlers, looking more like an eyelash brush. Always look out for a good grip and a sturdy pad on your eyelash curler. The grip has to be firm enough to create a long-lasting curl but at the same time, it should not be too tight as to damage your lashes. 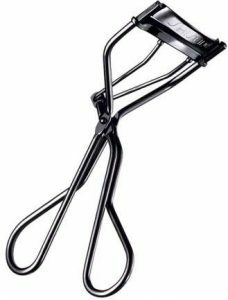 When choosing an eyelash curler have in mind that you should change their pads regularly to prevent any infection. It is good for you to pick silicone pads with good quality, which are not too thick nor too thin. It is always good to pick a good silicone pad that is not too thick or too thin. If the silicone pad is not of good quality, a clear line could show on your lashes which could make it look unnatural. Eyelash curlers are designed only for your top eyelashes, so never use them on the lower lashes. Knowing now how to choose your eyelash curler, go ahead and look at our top 7. Made with a stainless steel frame with very well designed calibrated hinge, allowing to apply even pressure for perfect eyelashes, without pulling, pinching, crimping or breaking eyelashes. Works with almost all eye shapes. A sleek design made of surgical-grade stainless steel that curls your lashes effectively and gently. The shape fits most eye shapes and sizes. Comes with a satin bag and 2 refills pads. Many users complain that the pins in the mechanism become loose and that refills are somewhat short. Inside of your purse, this compact curler is perfect to travel everywhere with you. Users with straight lashes say that this curler works great for them. It curls the eyelashes quick and they stay curled long. People love it because is easy to work with, but at first is difficult to get used to. The portable design with rounded silicone curling pad. Flip-down easel provides precise pressure and you will definitely see the result. Comes with a refill and is available in pink and black. Takes a while to get used to it and because is made of plastic the durability is questionable with regular use. The Shiseido is another well-respected brand with their iconic eyelash curler. With its soft rubber pad and great curve can catch each lash at the root to provide wonderful curl. Because of his design, everybody can use it, especially those with straight and hard-to-curl lashes. It is often compared to ShuUemura curler because it can provide similar, or for some people even better results. Many women find that their eyelashes stay curled longer after using this curler compared to others. Has a great shape that works well for smaller eyes and hard-to-curl lashes. The mechanism is durable. Comes with refill pads made of durable material and also those could be purchased separately. It is a little more expensive than other curlers in the market, however, it is easy for you to buy refill pads, meaning that if you take good care of your Shiseido is should last a lifetime. Some women say that tend to pinch. If you are used to the traditional ones, this might look difficult to adjust in the beginning. Once you get used to you will see that it gives you a great curl that really last. Many users found that after using this curler, it looks like they are wearing false eyelashes. It is super compact and easy to use, once you get used to. It grabs and quickly curls all lashes. Consumers claim that it pinches and pulls their lashes sometimes. The Kevyn Autcoin Eyelash curler was created by the makeup artist Kevyn Aucoin. Its red silicone pad make this curler easy to recognize. 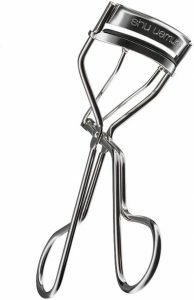 The eyelash curler construction offers a wider base to accommodate various eye shapes. The stainless steel eyelash curler is slim and perfectly poised to curl and shape the lashes, creating a flirtatious, feminine look. Its price tag is slightly higher and its mechanism is slightly less smooth than some others on the market. Gentle and easy to use, this curler from Tweezerman comes with extra refill pad. It is known to be the best in the market for almond eyes. People claim that it catches even the lashes in the corner. The Tweezerman curler is lightweight, and people are amazed by their look after using it. The silicone pad is thick and round, which help to form more intense curl. Easy to work with and you will be satisfied with your look. Ok, so, this is the best curler on the market. 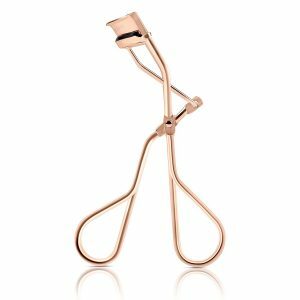 This is the most iconic eyelash curlers on the planet. Being the most commonly selected by professional makeup artists, it is a true icon in beauty, winning many awards over the world. Some people say that the results are so impressive, so you can skip mascara. There is a reason to be the top of the tops. It can curl the most hard-to-curl lashes. It has a silicone pad in a unique “mushroom” shape, which can grab even the shortest lashes. Its upgraded patented hinge was engineered to give the perfect amount of pressure on eyelashes without pinching, pulling or breaking them. 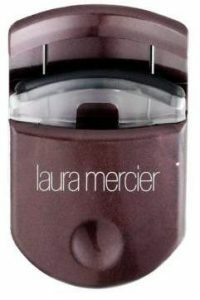 It has an upgraded hinge which applies the right amount of pressure on eyelashes to achieve the desired result. It is the best tool for medium to large rounded eyes. The Shu Uemura creates a nice curl for a more defined look, no matter what eye-shape you have. No pinching, grabbing or pulling the eyelashes out. The upgraded design and ergonomic handles make the curler easy to operate and give control over the process. Comes with refill pads. One of the most expensive models. Some complain that it is no better than cheaper models. Not available in the U.S market but still you can purchase it online. Another issue is that there are no refill pads for separate sale. It includes one refill with it. It is slightly bigger than other curlers, and people who travel a lot avoid it for that reason.